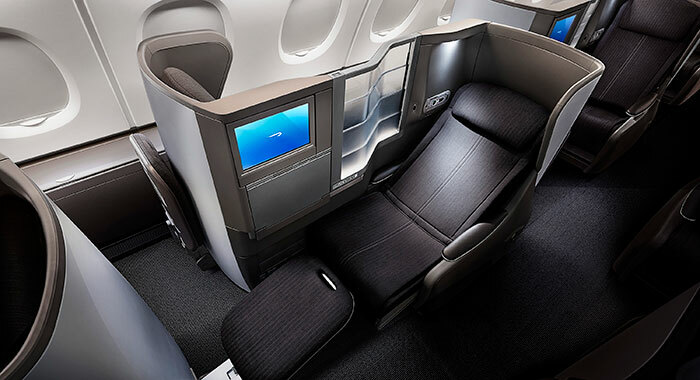 Choose BA Club World To Travel – There is a bed with your name on it! 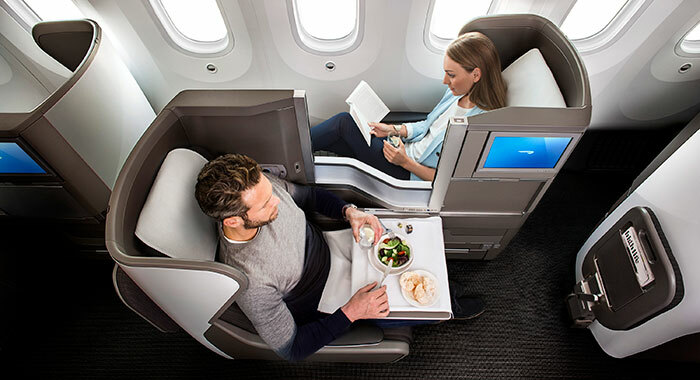 Learn why BA Club World is the only way to travel and how you can arrive refreshed and ready to enjoy your holiday. 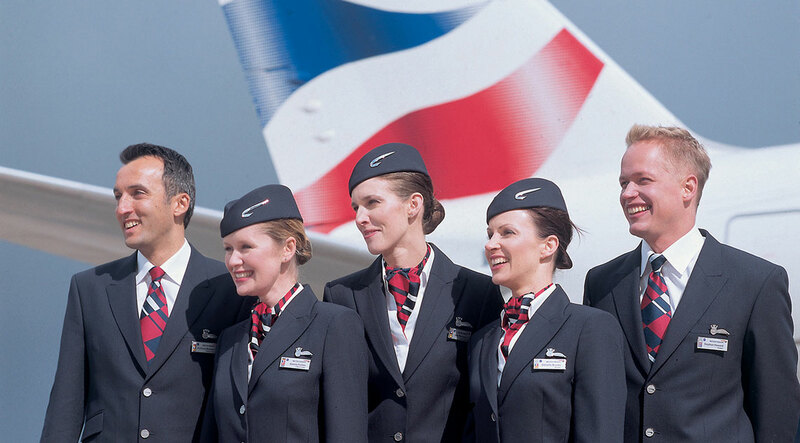 Club World is not just a spacious seat that reclines into a fully flat bed, even though on a flight that is pure luxury, it is the experience from packing your bags, flight check-in, time at the airport, during your flight, until the last moment you leave your British Airways plane. Your Club World experience begins at home. You don’t need to worry about what you pack as you can travel as light or as heavy as you like. On board you can take hand luggage plus a laptop or handbag; in the hold you can have two bags up to 32kg. 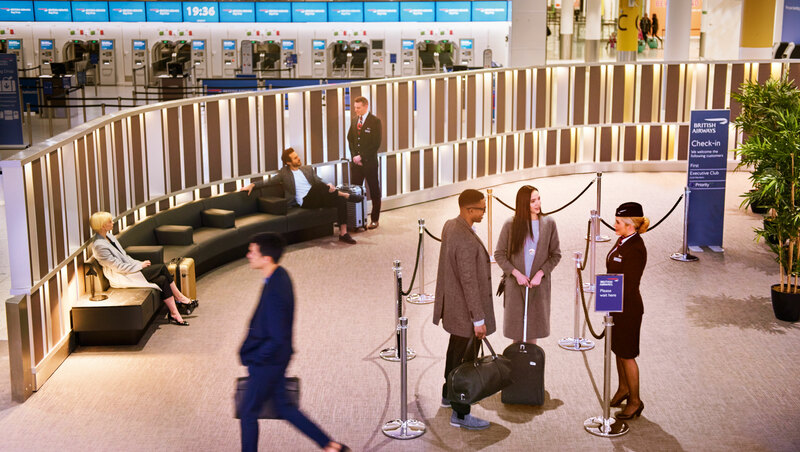 At the dedicated Club World check-in desk, available at most airports, you can cut through the waiting passenger queue and at London Heathrow, London Gatwick and New York JFK, Club World gives you fast track security. Having passed smoothly and speedily through the normal airport hassle it is time to relax and check into your Club World dedicated lounge. 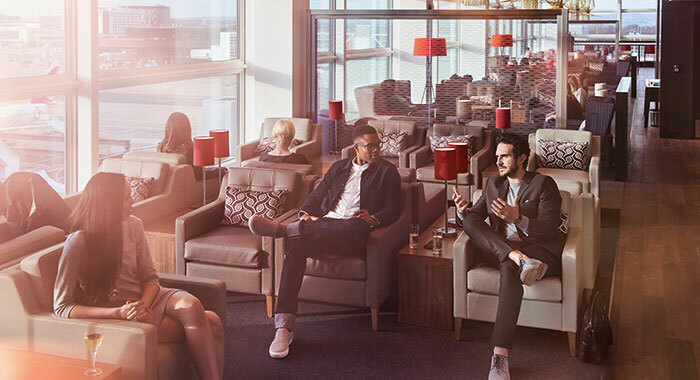 There are over 30 dedicated departure lounges and more than 100 additional partner lounges worldwide. 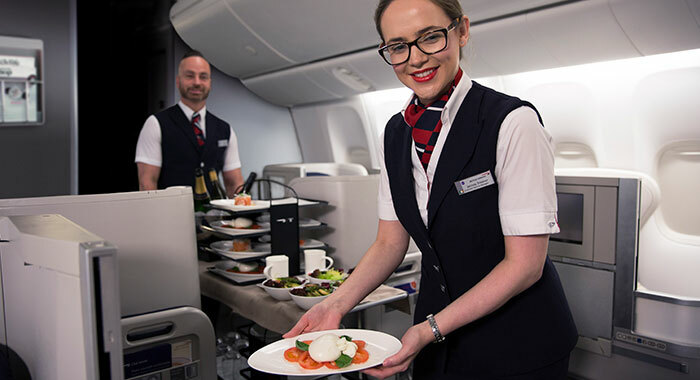 These are places where, if you ask for a glass of Champagne it will be served chilled and in comfort, light snacks are prepared especially for you and with some flights there is the opportunity to dine in the lounge, so you can maximise your on-board sleep time. The work and entertainment zones ensure access to Wi-Fi so you can catch up with the latest news, sport, social media or email! 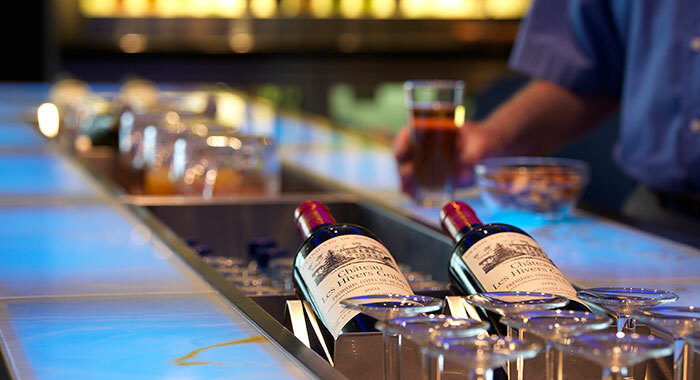 Priority boarding ensures you are comfortably settled in your seat, with a drink, prior to take off. 'Seat,' does not even begin to describe the space as it adapts to suit your needs. Armchair, office space, dining area and bed, supported by head rest, lumbar support and power supply. Fully flat your comfortable chair stretches to a full 6ft. Sleep, work or play you are in the perfect position. Entertainment is at your fingertips. The flat screen is 10.4 inches in size and noise cancelling headphones mean you can immerse yourself in the latest movies, television, music, audio books or games. Don’t waste time browsing either, as you can check what is showing on your flight beforehand. Dining will surprise and delight. Your three-course menu will be inspired by the latest food trends and accompanied by an expertly sourced wine or soft drink. 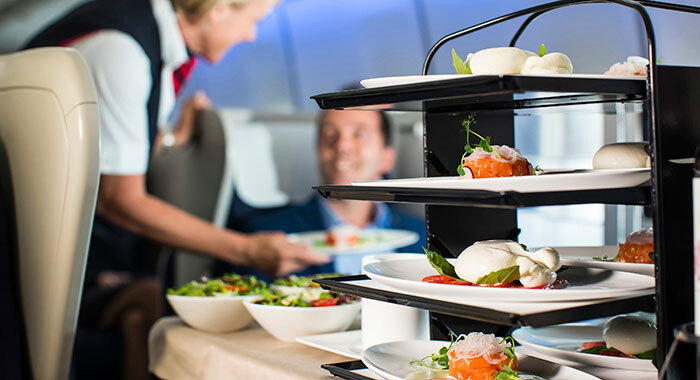 You can even choose your meal in advance from the on-board menu up to 24 hrs before you fly and for no extra charge (not available on flights to Sydney and Abuja). Tempting dishes may include: Fresh Pea Panacotta, Slow-braised Hereford beef cheek with potato gratin and Warm raspberry and lemon sponge. Fancy a snack between meals? Club World accommodates every craving from the healthy options of fresh fruit and yoghurt to the sweet indulgence of chocolate and shortbread. Take an afternoon flight and you are treated to Club World’s specially blended Twinings tea and warm scones! Freshen up with Elemis skincare products from your complimentary bag of products. There is just no need to arrive looking jet lagged! Feeling relaxed, refreshed and ready to start your holiday looking like a superstar, it is time to disembark, not that you will want to leave! Priority exit will ensure you are first to passport control and from there your exciting destination awaits. No need for you to waste time with sleep, time for you to unwind, explore and indulge. Your holiday awaits. Coming Soon in 2019, BA introduce Club World Suites on some its new A350 aircraft. Club Suites have direct access to the aisle, a door for greater privacy and boast 40% more storage that includes a vanity unit and mirror. The new in-flight entertainment screens are 18.5 inch and Wi-Fi will be high speed. Flying becomes even more relaxing. Looking for a Holiday and a Club World flight Destinology, has the perfect combination.